An integral part of any business Instagram profile is a call to action. Your call to action is how you tell your followers what you want them to do. Creating your call to action leaves you some creative freedom. There are a number of ways you can request a call to action. Any of these are a great way to get more people to view your content. They have your current followers direct more people that may not be following you yet to view and interact with your content. Hashtags are a topic-based system used to categorize content and display your content in a feed that pertains to a given hashtag. For example, using the hashtag #TBT (throwback Thursday) is used to reminisce old memories on social media. The throwback Thursday tag is a weekly trend with traffic spiking on Thursdays. If you use the tag on your post, you appear in a very popular, high traffic feed pertaining to #TBT posts. This is beneficial to your page and content as it drives a lot of relevant traffic to your profile. Hashtags enable you to stand out to people that aren’t following you yet. Even though Instagram is a photo sharing app, they leave you a fair bit of room to get creative with your captions. A picture is worth a thousand words, but Instagram gives you 2000 characters to tell a story. If you’re aiming for post consistency, creating a caption template can be a handy tool. Instagram’s algorithms try to squish captions together to ensure they take up as little space as possible. After you click post, sometimes you may find your line breaks and other empty spaces may disappear. If you’re posting from a mobile device, a good way to get around this is to write your caption in the Facebook mobile app where you would write a status update, then copy and paste it into where you’d enter your Instagram photo caption. A good example of a clean, consistent caption is our friends at @theflannelcrew. Experiment and find what works best for you! 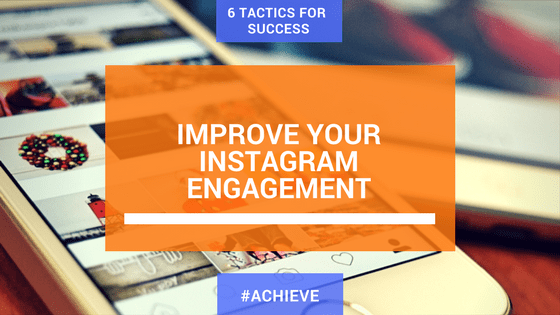 The best way to grow your following on Instagram is to be active. Use hashtags for national days like #canadaday on Canada Day or follow the current trends. Posts for different trends and events are a great way to tap into new audiences and get the word out for your brand. If you take a picture of a person or product, tag them and use their specific hashtags. Follow people, interact with other users by following and liking posts and reply to comments. It’s all about building those relationships with your followers. People love a brand that interacts with them and maintains a strong relationship. There’s a good chance you’re on other networks other than just Instagram. Share your Instagram posts on Facebook, Twitter or Tumblr. Send an email to your email list about your Instagram, link to your Instagram with a button on your website and add the Instagram icon to your array of social media icons on other publications. These are all good ways to make your followers aware of your presence on Instagram. You’d be amazed how many followers you’re missing out on by not making people aware! Every social media network has different peak times of activity. Statistics show that people’s engagement drops off while they’re working (9AM-5PM) and picks up outside of those hours. However, every audience is different. You’ll have to get to know your audience and when they’re the most active to time your posts effectively. There are a lot of broad statistical tools like TrackMaven that show the stats for Instagram as a whole, this makes a good base guide. But, follower and statistical applications like Followers Plus and Square Love once you’ve been using Instagram for a while will be able to give you good segmented data that has been tailored to your audience. Master the post timing and get all the likes you can! Instagram, the gram, insta, or that thing people use to put funky cool filters on their photos with is a tricky thing to master. But, once you get the basics down – it makes it pretty easy to keep your audience entertained and build a good relationship with them. Master this app and reap the rewards!